What is the Red Tide? The red tide is an explosion of algal growth that causes the ocean’s surface to turn a vibrant shade of crimson or other colors. They are found throughout the world and are caused by a particular algae called Karenia brevis. 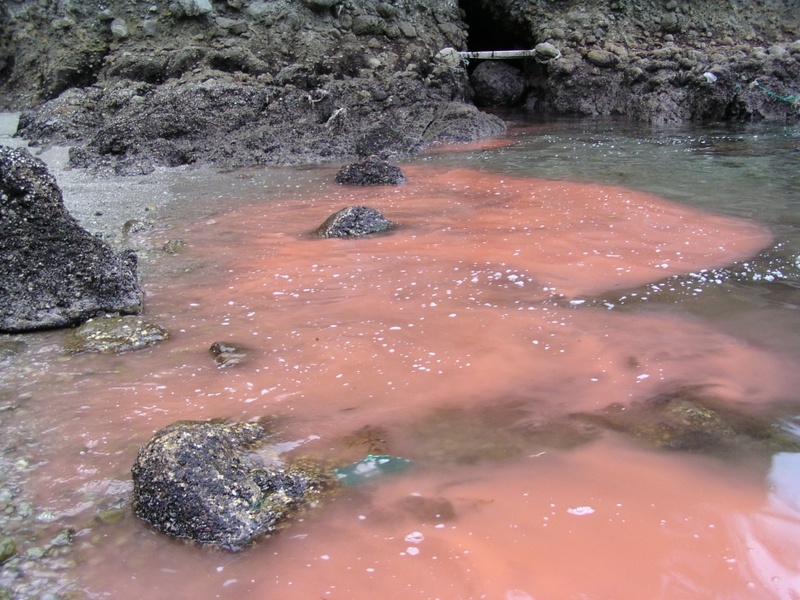 Red tides create a reddish-orange film washing up on otherwise pristine shores. The phenomenon caused by an excessive accumulation of the algae in a marine ecosystem. The pigment from the algae forms a colorful scum on the surface of the water. Also known as harmful algal blooms (HAB), they have invaded Florida’s Gulf Coast, as well as other U.S. coastal regions in the last 12 months. Concentrations of the organism vary on a daily basis, and the length of the time for a harmful algal bloom can vary significantly depending on multiple factors. It’s important that both locals and visitors to Florida Gulf Coast vacation rentals know a little more about this phenomenon and what we can do to participate in Florida marine life conservation. How Does the Red Tides Affect Us? Some large blooms of the algae can affect the marine life. Children and older individuals are more likely to experience discomfort, and it is not advised to swim in red tide. People report a smell associated with the red tide. This is due to the fish and other animals that come into contact with the red tide, which is often fatal to them. The smell along with other products of the red tide can exasperate respiratory issues, but many Floridians live by the beach without incident during this natural phenomena. While not ideal, the red tide may disrupt your day at the beach, but beach conditions can shift overnight. Red tide might even affect one part of the beach, and a mile down the road the water is clear and safe for swimming. If you are ever concerned or have questions about red tide, we advise you to call our office and speak to us directly about beach conditions. There are a number of theorized factors that have contributed to the fierce and rapid spread on the Gulf Coast of Florida, both natural and human. The winds that typically disrupt the water’s surface were weak last year, which are believed to have allowed the algae to settle. Also, this species of algae feeds of nitrogen, which is emitted during the agricultural process, which may have played a role in encouraging the species to overpopulate. Though the direct link between human activity and the offending algae is unclear, it is theorized that climate change and pollution have had impacts on our natural environment and may be linked to harmful algal blooms. The marine environment has suffered seemingly irreparable damage over the last 50 years. The red tide is yet another symptom of our sick ocean – but, fortunately, there are plenty of things we can do to help it heal. Choose reef-safe sunscreen over drugstore brands, even if it is a few dollars more. Try to go as plastic-free as possible while on vacation. Single-use plastic is detrimental to our planet. You can skip out on the straw in your margarita, and instead of bringing single-use plastic water bottles to the beach, remember to fill a reusable water bottle before heading out. When swimming in the gulf waters, out on a trail, or even on the watching the sunset on one of Anna Maria Island’s piers, be respectful of your natural surroundings. Don’t remove anything from the forest or ocean floors, dispose properly of garbage, and avoid disturbing animals in their natural habitats. Follow the “leave no trace” policy anywhere you go outdoors. MOTE Marine Laboratory and many other scientists are working on ways of cleaning the water and preventing the larger red tides from affecting Florida. While we won’t solve the existing algae crises overnight, it’s important we do our part in Florida marine life conservation. 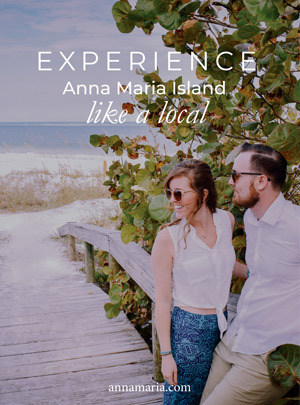 Here on Anna Maria Island, we want to you to have a safe, happy, and healthy stay at our Florida Gulf Coast vacation rentals in the area. Always be sure to ask if you’re unsure of water health or conditions. You can get up to date status on current conditions from the Florida Fish and Wildlife Conservation Commission website. For more information about our rentals, their locations, and property amenities, search for waterfront homes on our website.